Is Secondhand Shopping Really As Sustainable As We Think? Whether it's snatching up a piece of designer clothing or some antique electronic equipment, for retail enthusiasts, the thrill of secondhand shopping is like no other. For many, the magic of op-shopping lies in the histories untold behind each unique piece: who did that dress belong to, once upon a time? How many balls and parties has it seen? How many first kisses and broken hearts? For some, the appeal of thrifting is all about penny-saving, for there is no better place to pick up a bargain than on the congested racks of a secondhand store. Others view thrifting as an opportunity to support their local charities and communities, whilst some see it as a means to adhere to a more environmentally-friendly way of life. With new research beginning to surface regarding microfibre pollution and its devastating impacts on the marine environment, however, the question must be asked: when it comes to reducing the level of microplastic pollution in our waterways, is thrifting really part of the solution? Microfibres - tiny threads shed from fabric - found in our oceans are derived from a vast array of textiles, including nylon, polyester, rayon, acrylic and spandex. These miniscule threads, less than 5mm in length, exist in everything from yoga pants to running pants to fleece jackets and more. According to a recent study commissioned by Patagonia by researchers at the Bren School of Environmental Science and Management at the University of California, Santa Barbara, once washed, these microfibres then travel to your local wastewater treatment plant, where up to 40% of them enter rivers, lakes and oceans. The study also revealed that, of all the synthetic jackets washed, it was in fact the older garments that shed the most fibres over the course of the experiment, producing 1.8x more fibres than the other items. 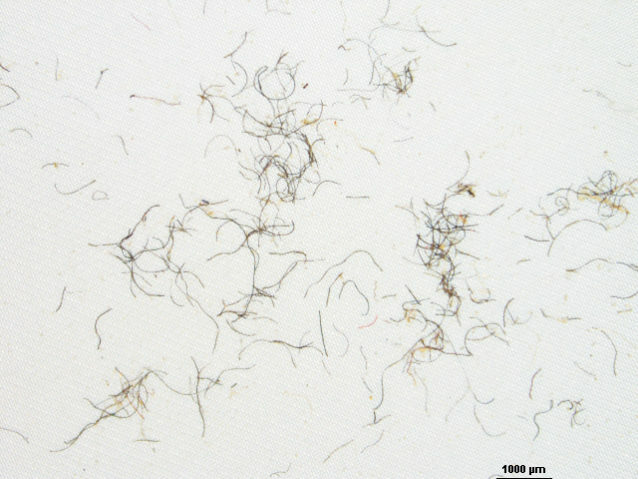 The increased shedding in aged garments, the study explained, was most likely due to the weakening of fibres as a result of wear - so where does that leave secondhand consumers? Until further research is conducted into microfibre pollution, it is difficult to ascertain whether or not thrifted clothing is equally as, or perhaps more detrimental to the environment than initially believed. The findings of this investigation, however, reiterate the need for consumers of both first and secondhand clothing alike to be more conscious of the clothes that they are wearing, and purchasing, than ever before. Invest in a reusable washing bag, such as the "Guppy Friend", a mesh laundry bag that goes into the washing machine. The bag captures shedding fibres as clothes are tossed and spun, preventing the fibres from escaping. Synthetic is out. Natural is in. We're in a climate emergency and it's going to take all of us to get out of it. That's why 1 Million Women is building a global community of women committed to fighting climate change with our daily actions. To join the (free) movement just click the button below!